The Seattle Range offers a very low cost shutter range for those on a budget. It is made from an engineered timber (Low Density FibreBoard) and sealed with a polymer coating. It is maintenance free, strong (ideal where children might be) and has a wipe clean surface. The Boston Range is crafted from solid basswood. Basswood is a very competitively priced hardwood and popular material for shutters. All shutter stiles have mortice and tenon joints to prevent warping and ensure prolonged quality and durability. We have kept the price low by offering limited options and colours. We also use MDF frames but this is not noticeable. Low priced, high quality, Tough but feels really good when clicking open and shut. Best value wood shutters on the UK market. The Phoenix range of interior shutter is made in wood from the parasol tree. It is a lower priced wood shutter which is lighter in weight and is therefore ideal for use on wide openings, thus eliminating any need for top tracking quite often required with heavier products. It is available in a choice of 6 painted finishes and is also available in a superb choice of 15 stained colours it gives you attention to detail, showing the wood grain on painted and stained finishes as opposed to a flat finish. 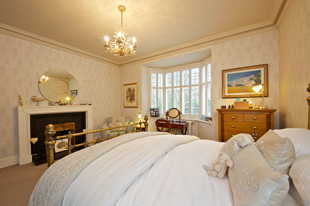 We can also match any Farrow and Ball, Fired Earth and Dulux trade palette colours. This range is available in 47mm,64mm, and 89mm Louvre slat sizes. The Portland Range is made from very robust and high quality hardwood, with an engineered core to prevent any possibility of warping. Portland shutters are well suited to areas where extra durability is required either around the home. Beautiful tight grain with smooth finish. Very strong and robust hardwood. Ideal for commercial applications where a wood product is preferred. The Vancouver Range is crafted in beautiful Western Red Cedar. Cedar wood is generally acknowledged to be the best timber for internal window dressings. Available in its natural state in 2 shades. Natural and Medium Natural (a lighter shade). Our Cedar shutters are available in a lacquered finish or an oiled finish which delivers a stunning impression showing the amazing grain in the wood. It is a popular choice in loft style apartments, barn conversions and really anywhere you would like to achieve a natural look. 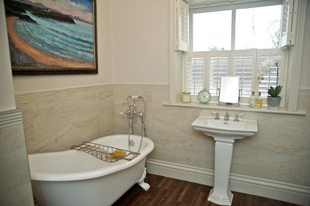 The Hollywood Range is ideal for harsh environments such as wet rooms, showers and conservatories. Basically, anywhere where condensation could be an issue. It is made in Paint finished ABS – the same material used for electric kettles. This Range is available in 63mm and 89 mm only. All of our products are the latest designs available in the UK. Each interior shutter panel has a new sleek, unfussy design, offering a clean line image; it is perfect for those wanting to achieve a classic yet contemporary look. Simply follow these three steps to have Select Interior Shutters in your own home. If you are happy with the quote please fill in the section 2 of the Quick Quote. One of our surveyors will then call you to arrange a home visit with samples etc. On receipt of 50% deposit we will then order your shutters and within 6 to 8 weeks they will be fitted. 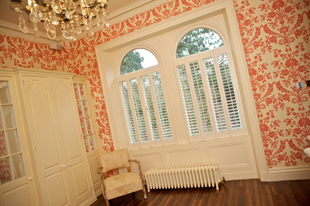 We also offer a premium service and can have your shutters fully fitted in approx 2-3 weeks. However this service does carry an additional charge. *Optional extra for slight surcharge are Hidden tilt Rods.